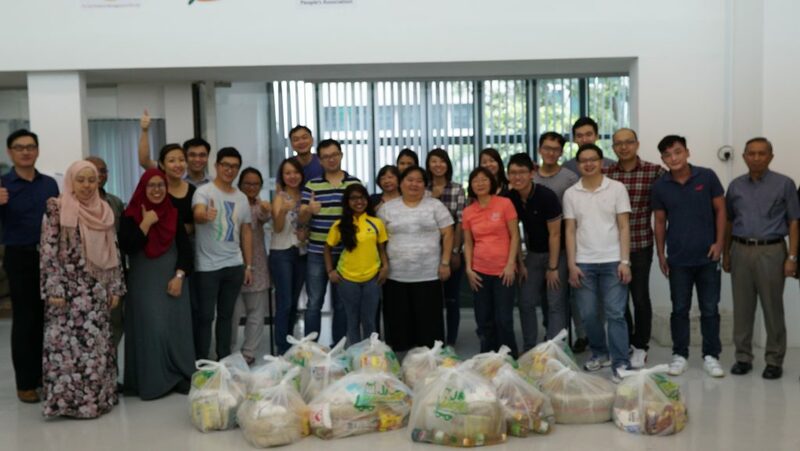 In preparation for Jamiyah’s 85th Carnival on 13 and 14 May 2017, Food Bank was involved in a mass distribution of 400 food rations to Jamiyah Beneficiaries as well as Eunos residents who are in need. On 5 May 2017, AVIVA did their Corporate Social Responsibility (CSR) in Jamiyah Food Bank by doing the mass food packing of 400 for the food ration distribution for Jamiyah’s 85th Carnival. AVIVA volunteers were briefed about Jamiyah’s establishment, the Food Bank’s purpose and its recipients that it has tapped on. A tour was held for them to witness the functions and facilities of Jamiyah Food Bank, followed by the real task of the day, mass food packing. It is something new to most of them and they were eager and full of energy in finishing the 400 packets of rations. Thank you AVIVA for bringing your compassionate and dynamic volunteers to Jamiyah Food Bank, to another fulfilling collaboration soon!